Today, more than ever, first impressions take place on the digital platform. Whether you’re pursuing a new client or a new job, people are going to look you up, it’s as simple as that. What they find becomes their impression of you: your brand. The question is, are you going to be in charge of your brand story, or are you going to let others write that story for you? At White Knight our passion and our skills center around storytelling, and on helping you make that ever-important first impression. 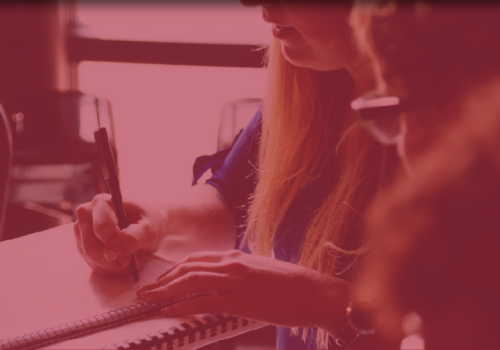 We ask the critical questions and dig deep to uncover your brand story, and the essence of the impression you’re seeking to convey, either as an individual or as a company. That impression should be reflective of who you are currently, and also of the type of work or clients you seek to attract. We’ll guide you through the process in an easy and fun way, either for a simple brand check-up and refresh, or for a 2-day intensive brand overhaul where you work with our team in person to develop your brand story, logo, headshot or product shot, landing page and promotional video. It’s one thing to present your bio or resume in written form, but using a well-scripted video as part of your package takes your public persona to a whole new level. Show the world your personality and tell your story with a Video Resume or Video Business Card. Link to your Video Business Card in your email signature or your LinkedIn profile and make a lasting impression with people you’re looking to do business with. Whether you’re looking to work with corporations or small businesses, people do business with those who they like and trust. Accelerate that process when you provide a video introduction to your professional self. Stand out from the pack and create a lasting impression with a video resume. Not only does creating a video resume demonstrate initiative and creativity, but our process helps you to clearly define your career objectives and mission statement, giving you clarity and direction while also providing you with a clear competitive advantage in landing your dream job. Your brand is your calling card. It’s the first thing that people see, and they are left with an impression about the kind of company you are. Are you corporate? Innovative? Creative? Fun? Reliable? Serious? What kind of clients do you cater to? What kind of clients do you want to work with? If you aren’t sure if your brand is aligned with the type of company you are, or the one you’d like to become, then contact us today for a discovery session. Here is a video that tells the story of branding we did for Socha Financial Group. It explains how this company was changing and why a brand refresh was so important to their future. If you’re launching a new product or have an existing product, you are most likely competing in a crowded marketplace. Having the right brand and packaging can be one of the most determining factors in your success. How are you positioning your product? Does it stand out on the shelf or in the online marketplace? Do you have a promo video that explains your features, benefits and differentiators? Let our team walk you through the process and lead you to a solution that will work for you. We recently developed branding for a new product to the market: eco-friendly cat litter. Our clients had the product but needed a name, a logo and packaging so that they could take the necessary steps to get their product to market. 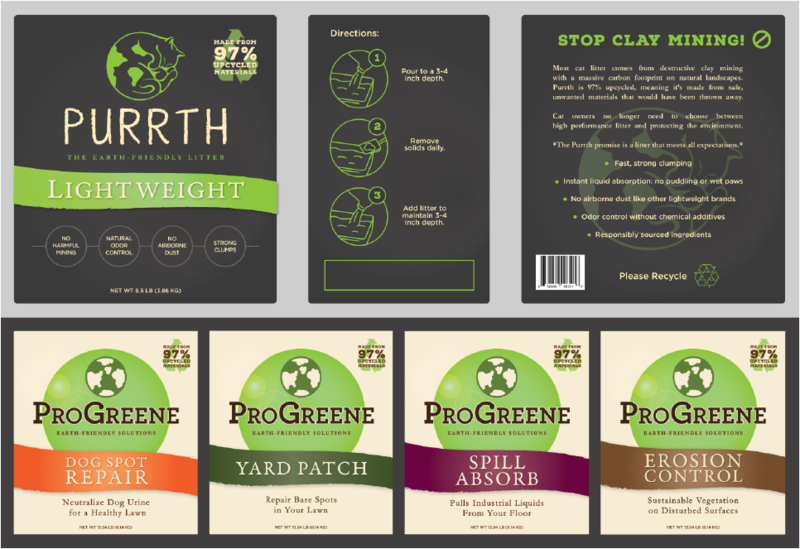 Here is a look at the finished logo and labels, as well as an extension of the brand for the wholesale market. I contracted White Knight Productions to do a series of 5 inbound marketing videos for my business, Evergreene Graphics. The team was professional, made me feel at ease in front of the camera and did a great job of editing the final videos with graphics, insets, music, and delivered it all in a very reasonable timeframe. Elin and her team produce spot-on videos based on a thorough understanding of your market, your goals, and your overall business strategy. This team of creative deep-thinkers is passionate about what they do, and it shows. I highly recommend them. My company asked White Knight Productions to lead the branding and packaging design effort for a new product we are manufacturing in the consumer packaged goods industry. We are very pleased with the outcome. The team at White Knight met every deadline for our tight schedule, and responded quickly to all of our comments along the way. They were completely receptive to our opinions throughout the revision work, which made the process collaborative and enjoyable. We will certainly return to White Knight as new projects arise.